A new study found that diets inducing obesity alter dopamine receptors that suppress the natural impulse to move around. Obesity has always been linked to physical inactivity, but the new research suggests that overweight alone is not causing sedentarism in obese people. The study explains why obese people have a more difficult time moving around and feeling motivated in doing so. Dopamine is in charge of a center of movement control and reward-seeking behavior, and if affected, people lose interest in physical activity and the rewards it could bring. The research was published December 29 in Cell Metabolism. Image credit: Stanford Medicine Library. The study’s senior author Alexxai V. Kravitz, an investigator in the Diabetes, Endocrinology, and Obesity Branch at the National Institute of Diabetes and Digestive and Kidney Disease -both institutions are part of the National Institutes of Health- found similarities in obese mice and mice with Parkinson’s disease. Kravitz had studied Parkinson’s before, and when he began to study obesity, the similarities made him think that the reason why obese mice did not move around as much as thin mice could be due to a defect in their dopamine system. Kravitz stated that physical activity is linked to overall good health, but it has not been studied why people or animals with obesity are less active since it is assumed overweight does not let them be more physically active. 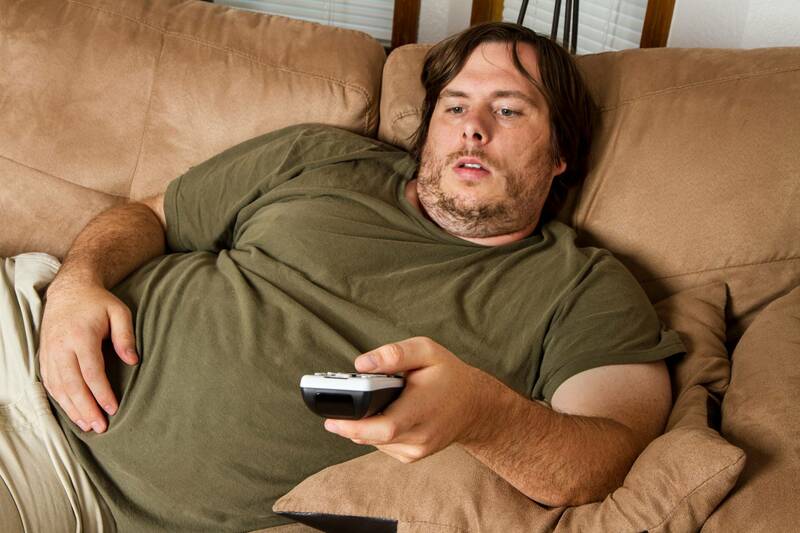 The study hypothesized that overweight alone does not cause obese people to adopt a sedentary routine. The experiment divided mice into groups: one that was fed a high-fat diet for 18 weeks, and another one on a regular diet to serve as a control group. Beginning in the second week, mice consuming an unhealthy diet already had higher body weight. By week four, mice spent less time moving and if they moved, they did it slower than the control group. The study highlights that the mice on high-fat diet moved less before they gained the majority of the weight, suggesting overweight alone is not responsible for reduced movements in the animals. Based on the similarities with Parkinson’s disease previously observed, researchers looked at six different components in the dopamine signaling pathway. The results showed that the obese mice had deficits in the D2 dopamine receptor. The team also analyzed the connection between inactivity and weight gain to determine if the relationship was causative. They used mice engineered to have the same effect in the D2 receptor and discovered that those mice did not gain weight more readily on a high-fat diet, despite their lack of inactivity, the study explained. The results suggest that mice start to gain weight once they start moving less. Kravitz stated that willpower is invoked as a way to modify behavior, but it has not been studied yet what are the physical basis for that behavior, adding that it is difficult to say that willpower will solve obesity and other problems alone. He believes that studying the physiological causes of why people with obesity move less will reduce the stigma associated with the disease and will help affected people to start losing weight.